The Tens brand was imagined by a group of three friends during a road trip through the Scottish Highlands, all of who were photographers and film makers with a love for rich colours and natural light. Although they worked to bring new perceptions to the world already with their day jobs, they had an ambition to bring something even bigger and brighter to everyone’s day-to-day outlook on life. 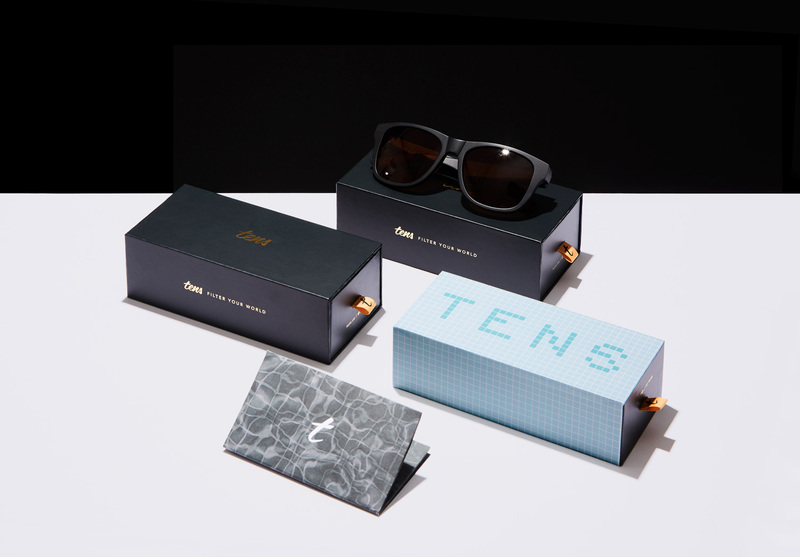 While normal sunglasses strip away the sun’s natural glow, replacing its bright rays with colder, more lifeless shades, Tens does the opposite. Using a bespoke tinted lens that works with natural sunlight instead of against it, these sunglasses transform the wearer’s view from dull and darkened to one full of rich colours and perfect clarity. 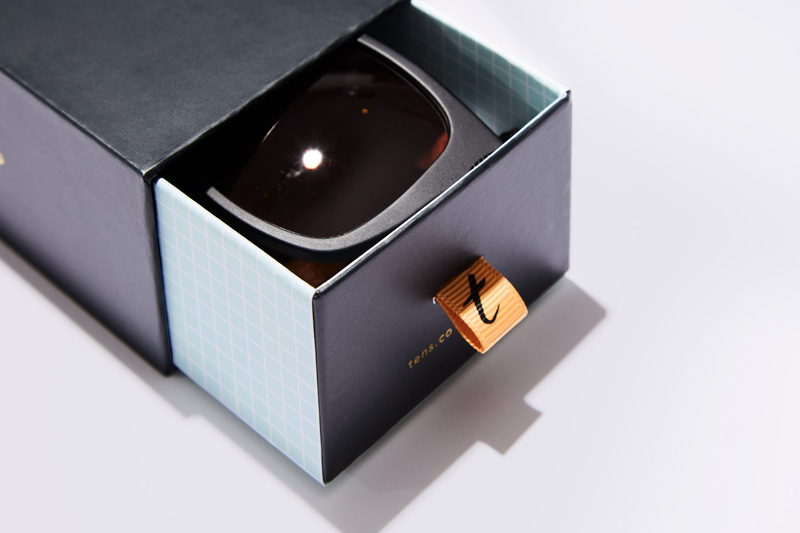 To launch their product, they not only needed packaging to house the glasses, but they also required product information to fit inside. A product manual was printed in full colour on 105gsm uncoated paper, alongside a safety leaflet which was concertina folded to finish. These were collated together with the product and inserted into the accompanying rigid paper over board slipcase and tray. The outer slipcase was covered in full colour matt laminated print, with foil block detail on all sides. 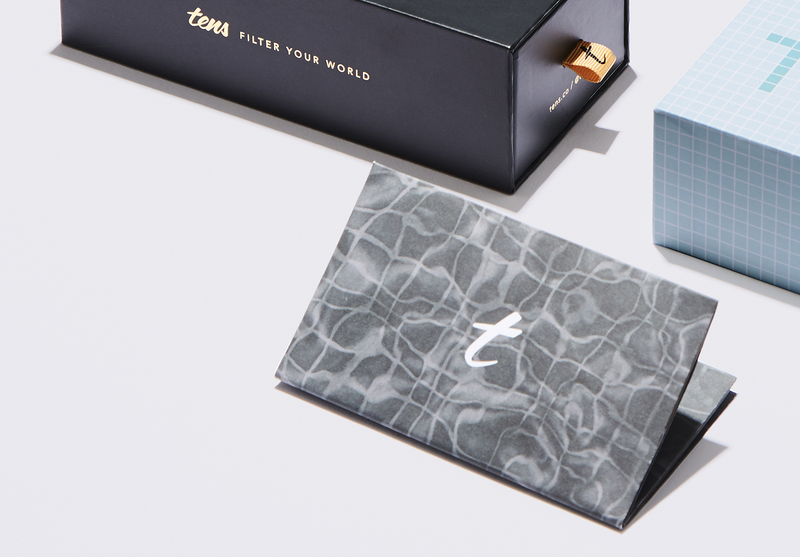 A gold grosgrain ribbon pull, printed with a black Tens logo was attached to slide the tray out smoothly. Progress manufactured 5,000 units in total which were made in our specialist factory in China.